Vinyl flooring in Atlanta has a lot to do in overcoming local tradition. As with so many other cities in the Southern states, the residential areas of Atlanta were built largely with hardwood floors. This is still the case even today, although there is far more competition from artificial products. In previous decades, the majority of homeowners wanted hardwood floors because nothing else seemed authentic. There was just something cheap and plastic looking about a laminate floor. Now, technology has advanced to the stage where many artificial floors appear identical to real wood. Although vinyl flooring in Atlanta is typically reduced to being used in kitchen and bathroom areas, there is no reason why this should have to be the case. If you want to get a bit more creative, you will find that vinyl has certain properties which make it usable in other areas as well. While a vinyl floor is not usually found in a living room, it can easily be adapted if you use cushioned vinyl which is easy to walk on. As an artificial material, vinyl can be given just about any color or appearance, so you can make it resemble a natural surface if you choose to. Perhaps you can start a new trend in Atlanta vinyl flooring. Many people looking at vinyl flooring in Atlanta will not consider the possibility of using it in other rooms; neither will they be aware of the wide variety of colors and textures available to them. You can even choose and install vinyl flooring which looks like real marble or ceramic tile. If you do take the step of being creative and using vinyl in other ways, you will benefit from one of the hardest wearing surfaces developed for domestic floors. For those of you that have young children, this will be an even greater blessing. Vinyl Flooring In Atlanta – Another Great Choice! When it comes to vinyl flooring in Atlanta, you and your home deserve the best choice. Why trust a name you’ve never heard of? 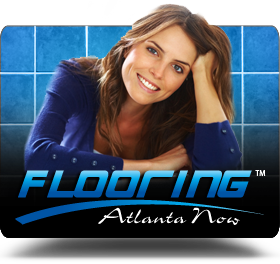 Instead, contact the helpful and knowledgeable Atlanta vinyl flooring experts at FlooringAtlantaNow. Utilize our many years of service in the local community by letting us help you make your new flooring project an enjoyable and positive experience! 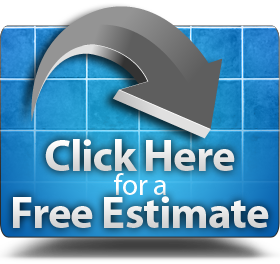 If you have any questions, or need additional information about our vinyl flooring products and services in the Atlanta, Georgia area, please Click Here for a no obligation estimate, or give us a call today at: (404) 201-2513.